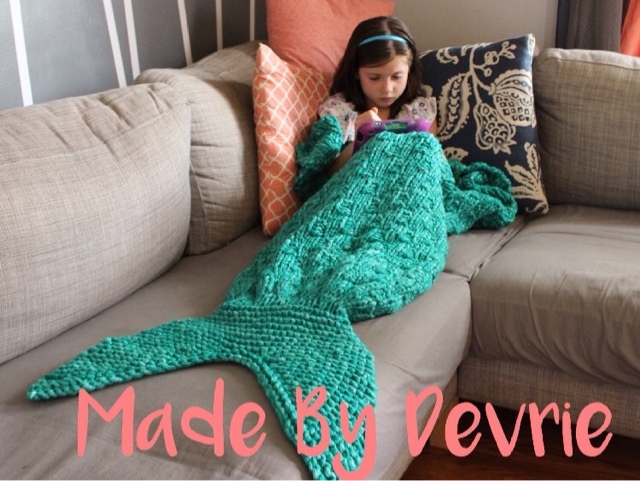 Ever since I made a mermaid tail blanket for my daughters favorite doll, she has been begging me to make a matching one for her. 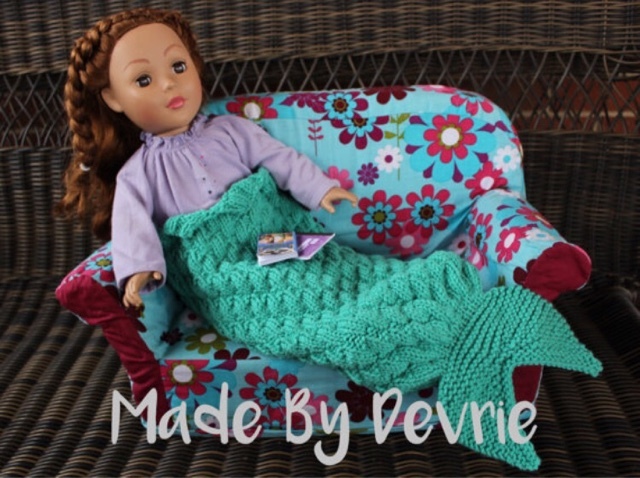 Purchase this pattern in my shops and you can make one for the dolls in your life. Works well with stuffed animals as well. I knew it was a project that I not only had to do, but wanted to add to the top of the list. The biggest problem I had with it was yarn. If I made it with a worsted weight yarn I could potentially be knitting it until the end of the year. I did not have time for that. Then I thought how cool it would be if I made it out of t-shirt yarn. I found some at my local Hobby Lobby and bought only two giant balls. I assumed I could just come back and buy more once I needed them. Spread out the expense. Word of advice, never do that!!! I didn't realize that the t-shirt yarn is dyed on an individual lot basis. Which means not two lots are he same. Not even close to the same. They are divided into color families. So with in the green family there can be so many different variations of green. Making it impossible to match colors. So after waiting for two weeks for my giant size 17 knitting needles of come in I started knitting. I had almost 2 dozen inches of the blanket made when I realized I couldn't find anymore if the yarn in the right color. I had to rip it all out and start over. Have you ever spend so much time on a project and then break down when it falls apart? Yeah me either. ;) So I switched to a super bulky yarn from Bernat. It had some sparkle in it and my daughter loved how soft it was. I bought so many balls of it so that I would not run out. Haha. It really only took me a few days to finish the blanket and it am so in love with how it came it. 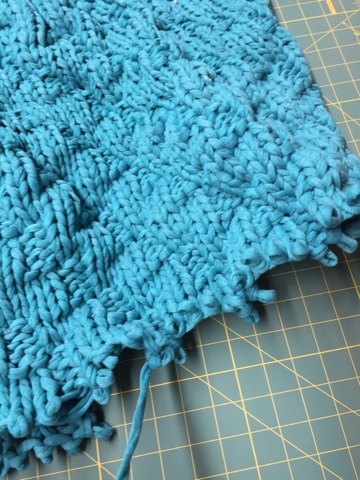 The super bulky yarn is the way to go!! You can buy your pattern in any of my shops. Please follow me in Instagram and tag me in your pictures when you start yours. @madebydevrie.